A natural dry brush, a Salux cloth, a jade roller- these are some of my “every day” beauty tools that I reach for on daily basis. 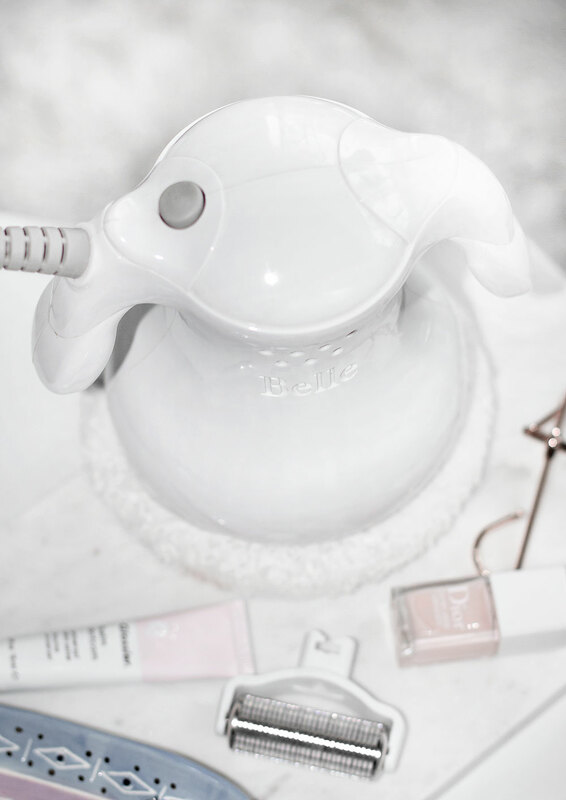 There’s also a handful of “special treatment” beauty gadgets that I love, and those require a bit more commitment, but the results are always worth it. There was a time a couple of years ago when I’d buy every new beauty tool I’d come across. 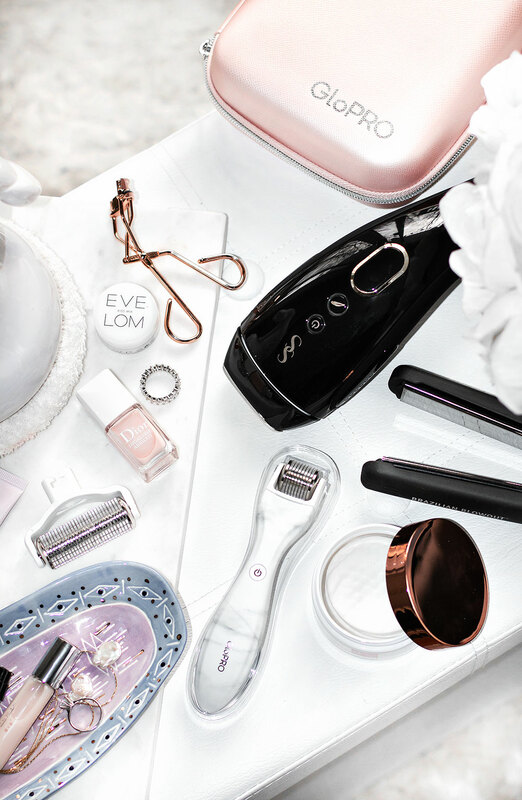 Sonic brushes, at-home microdermabrasion systems, light-therapy devices, facial massagers, lip-plumping tools- you get the idea. Sooner or later, they’d all end up collecting dust somewhere in my bathroom or closet. Some of them worked but required too much commitment in terms or regular use, others turned out to be just a big gimmick. 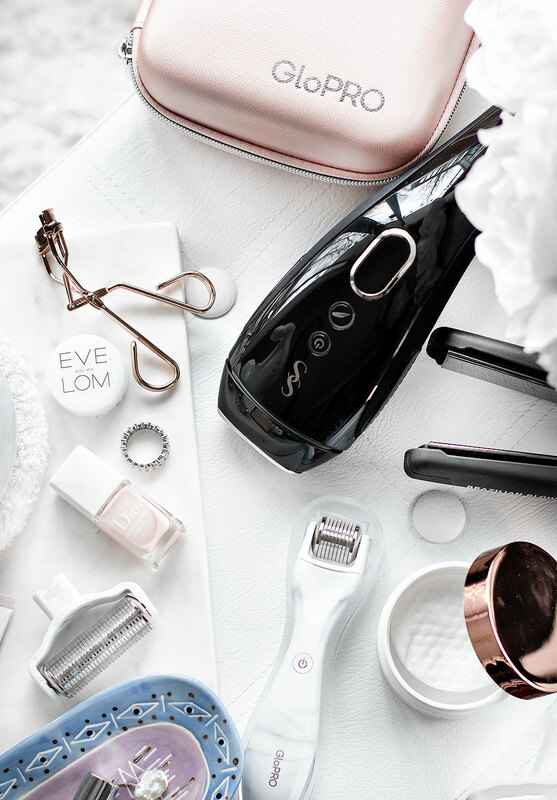 These days I definitely put a bit more thought and research into my beauty spending and try to control my excitement whenever I hear about the latest beauty tech tools or gadgets. 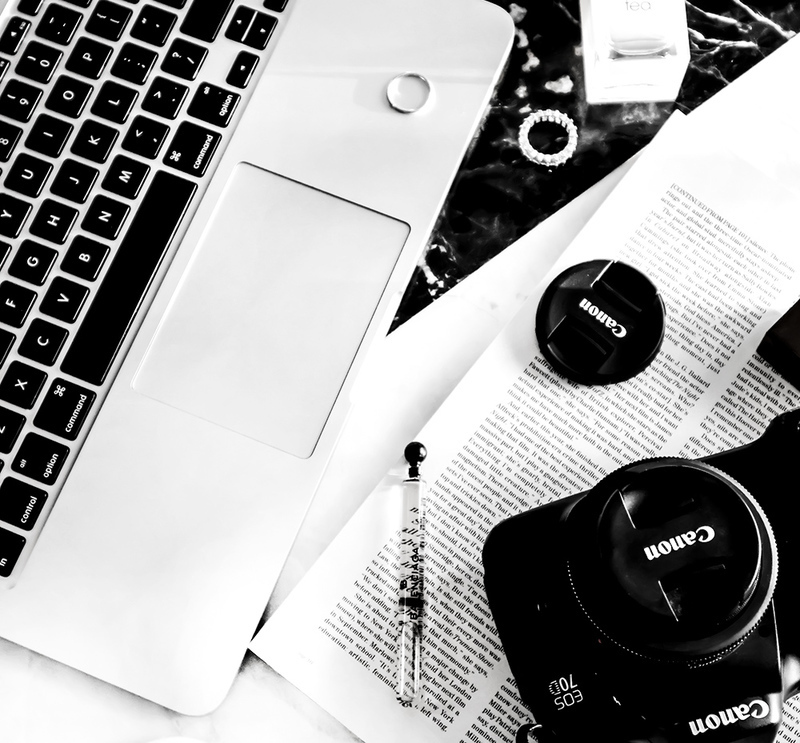 These are just a few of my most-loved gadgets that actually give results. Belle Core Body Buffer– I’ve had this buffer for many years now and I believe that this particular model, HoneyBelle, is no longer for sale, but you can still get your hands on a smaller one. Originally I got this to help reduce cellulite (it does a great job at firming/toning places like thighs and buttocks), but I also love using it as a post-workout muscle treatment. This thing is amazing in aiding muscle recovery as it gives a mini deep-tissue massage. It also helps gently exfoliate skin (terrycloth bonnets it comes with are hand-washable) and improve circulation. This was one of those tools that I kind of forgot about after a few years of use- not because it wasn’t effective, but because I kind of got lazy and stopped using it. When I was in physical therapy in 2017, I dug it out from my closet and it’s been so helpful in dealing with stiffness and muscle aches. It’s kind of a mix between a beauty and a wellness tool- it’s powerful but using it isn’t painful at all (it actually feels amazing and very relaxing) and it doesn’t irritate skin. SmoothSkin Gold IPL. 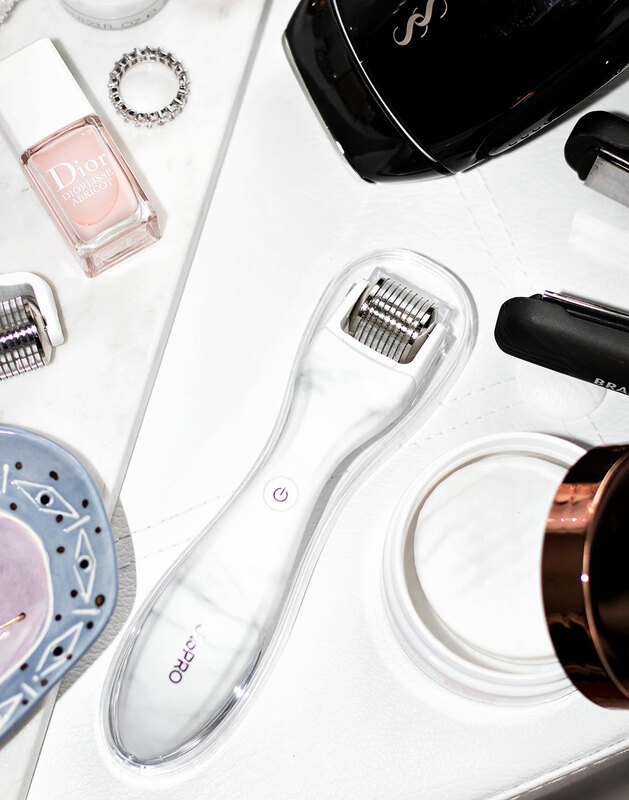 I’ve struggled with unwanted hair since I was a tween. Having very light skin and naturally dark hair means that hair in places like my legs and underarms is very visible. I also have PCOS to thank for a few stubborn hairs on my chin (ugh). SmoothSkin Gold can actually be used to reduce not just body, but facial hair as well and I had awesome results with both. The device has a “Detect and Set” technology that automatically detects your skin tone and adjusts the settings to match your skin, so you don’t have to worry trying to figure out what setting will work for you. 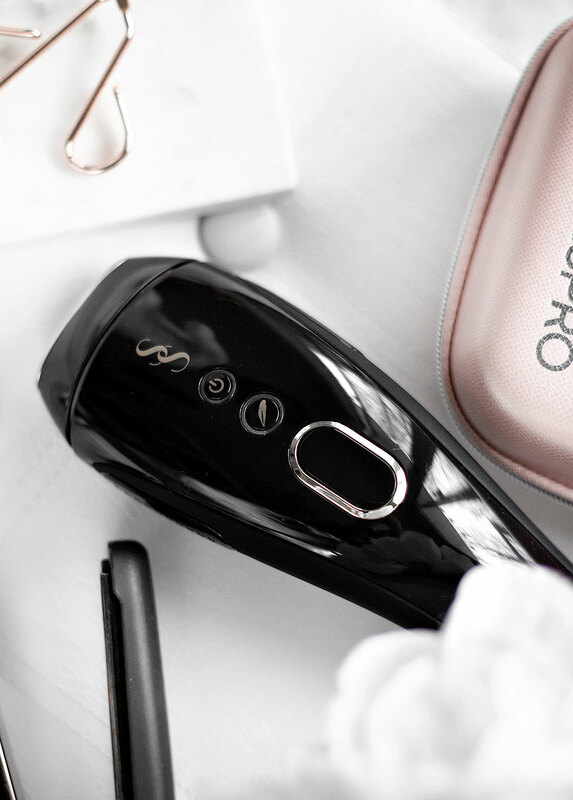 I talked about this at-home hair removal device in a lot of detail just last month (you can find my post right here). After cutting my hair short I’ve tried SO many different wands and curling irons and just couldn’t find one I loved. Maybe I’m just hopeless at styling my hair? Well, it turned out that the answer was a flat iron. It’s one of the only hair styling tools I now use and it’s my go-to for creating soft, beachy and effortless curls. Effortless being the key word here, as I hate spending a lot of time styling my hair. My two favorite flat irons are by Brazillian Blowout (got this one from my sister who works in the hair industry) and this one from CHI. My last CHI flat iron lasted me over 7 years- I love how quickly they heat up and, of course, the fact that they last so long is a huge bonus. 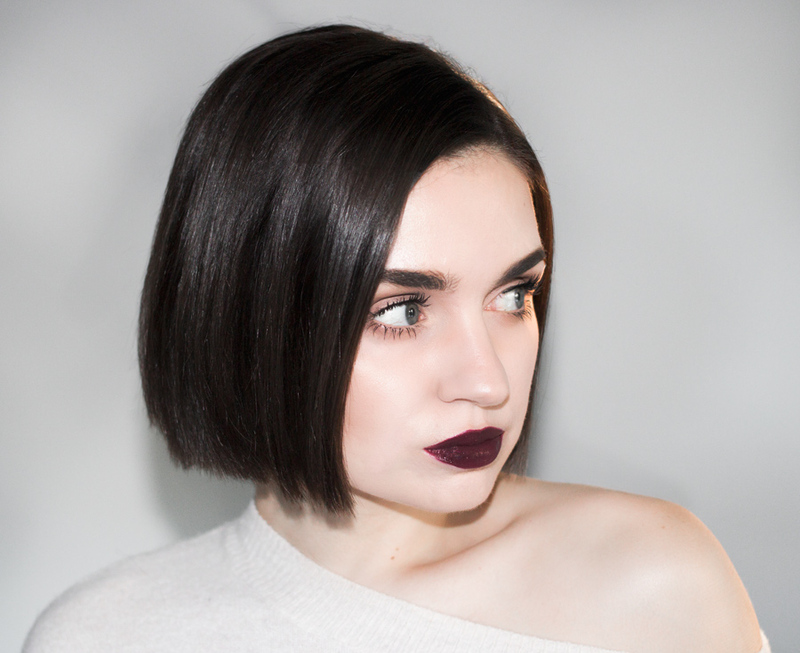 When (on a rare occasion) I do straighten my hair, it stays silky smooth, shiny and frizz-free all day- which is quite impressive because my hair tends to get very frizzy throughout the day. BeautyBio GloPro Face + BodyMicroneedling Tool. I LOVE microneedling! It’s been a part of my routine for a very long time and I really love it as a treatment to help with uneven skin tone and texture. Because of my acne-prone skin, I’ve been dealing with both for a very long time. I used to use these cheap derma rollers and while they actually did work, I’d have to constantly replace them, some of them would rust despite claims that they’re made of surgical-quality steel microneedles. The GloPro can be used with a few different attachments which can also easily be replaced (with regular use, it’s recommended to replace them every three months) so you don’t have to worry about replacing the whole thing. The face microtip and body microtip are my favorites- I find them to be a lot more gentle than other derma rollers I’ve tried in the past (the needles are .3 mm in length). What I love most about GloPro is how well my serums and other products absorb after each use, I just get much better results from my favorite products and my skin always looks plump and healthy after each treatment. I love that it has a little weight to it, it feels nice and sturdy- very different from the plastic rollers I’ve used in the past. With regular use, microneedling is the only “at home” treatment that helped me with making rolling acne scars on my cheeks and temples less visible (you can see them up close at the end of this post). The body attachment is also great and easily covers larger areas, which is awesome for treating places like your legs or belly if you have any “fresh” stretchmarks you want to make less visible (again, the treatment should be used in conjunction with proper skincare). As much as I love my GloPro, I do have to be honest and say that the “red LED” function and vibration that turn on when you power on the device feel very gimmicky. I mean, I’ve had light therapy treatments done by a professional and don’t see how the little beam of light in GloPro can really do anything. As far as the “vibration” goes, it literally does nothing other than vibrating the handle- you still have to put in the work by rolling the device on your treated areas (vertical, horizontal and diagonal directions). Nothing else but the tiny microneedles is what helps the magic happen. I love this little tool, the different attachments that can be used with it (you can even get a rose quartz roller attachment for depuffing), how easy it is to travel with, just don’t like the gimmicky claims. Do you guys have any favorite beauty gadgets or tools? Any gimmicky ones you fell for in the past?